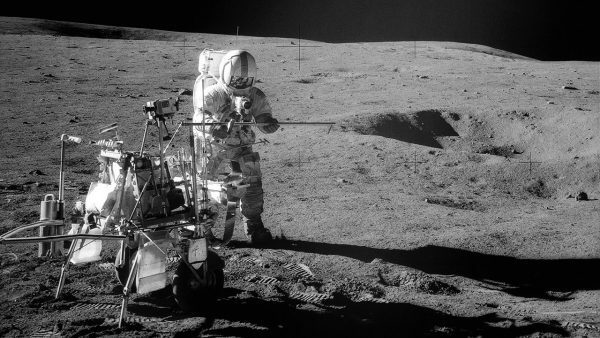 The Apollo 14 moon landing was NASA’s third manned lunar landing mission, and it turns out it might have brought back the Earth’s oldest rock. But how on Earth (no pun intended) could the Earth’s oldest rock, a rock estimated to be an astounding 4 billion years old, have been discovered on the Moon? 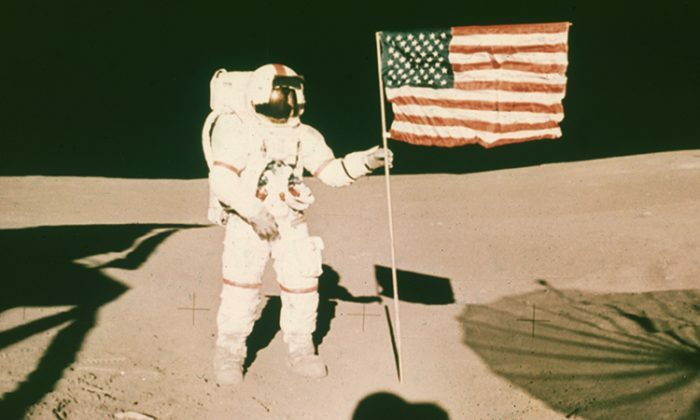 The Apollo 14 craft landed on the Moon on Feb. 5, 1971. The craft landed in a lunar crater known as the Fra Mauro region, the intended landing site of the (tragically aborted) Apollo 13 mission the previous year. 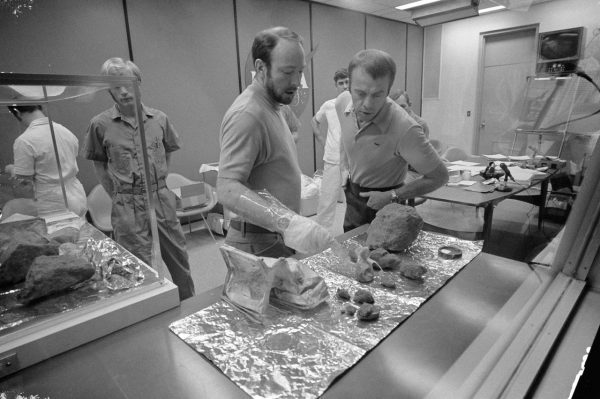 A group of scientists at the Center for Lunar Science and Exploration (CLSE), part of NASA’s Solar System Exploration Research Virtual Institute, has been studying debris brought back to our planet by the Apollo 14 crew. They have revealed their latest findings in the Earth and Planetary Science Letters journal. 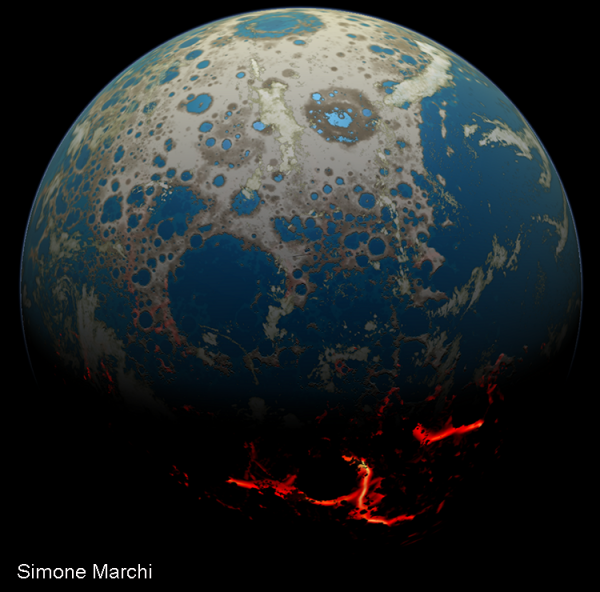 The scientists are speculating that one ancient lunar rock may actually have been part of debris that was blasted all the way to the Moon from Earth after an asteroid collision some billions of years ago. According to NASA’s Universities Space Research Association, at this time, our moon was three times closer to Earth than it is now, adding credit to the speculation that debris could have traveled between the two masses after an asteroid collision. 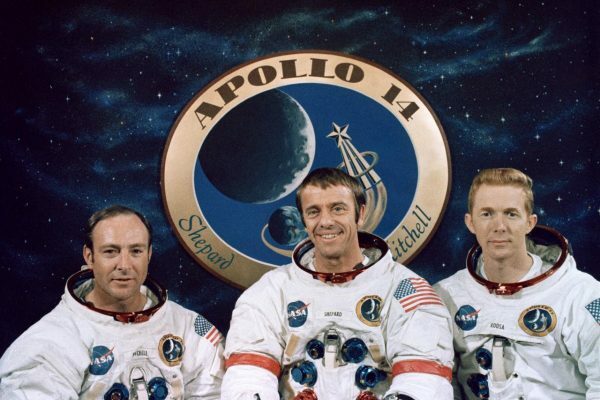 Apollo 14 astronauts Alan Shepard, Stuart Roosa, and Edgar Mitchell took part in a history-changing spacewalk on the surface of the Moon during their mission, lasting 33 hours. During this walk, they collected over 93 pounds (42 kilograms) of lunar debris for scientific study back on Earth. Earth-based scientists have managed to garner significant data about the composition of the Moon from these samples. So, what about the anomaly in their collection? According to NASA’s Solar System Exploration website, Principal Investigator Dr. David A. Kring challenged the CLSE team of scientists to “locate a piece of Earth on the moon.” Led by research scientist Jeremy Bellucci and Professor Alexander Nemchin, the diligent team accepted Dr. Kring’s challenge and applied it to their study of the lunar material from the Apollo 14 mission. The result: a fragment of rock weighing in at less than 1 ounce (2 grams), with a suspiciously terrestrial composition. Professor Nemchin explained that the suspected “Earth rock” has a very similar composition to granite and quartz, both of which are common on Earth. The rock also contains zircon, which is both a terrestrial and a lunar material; however, the type of zircon that this rock exhibits is exclusively a terrestrial kind. Nothing of the sort has ever been found on the surface of the Moon. The CLSE scientists concluded that this rock must have been formed in an oxidizing environment. That’s Earth, in layman’s terms. The theory of an asteroid collision is much more fitting. NASA’s CLSE scientists are speculating that an asteroid crashed into the Earth billions of years ago, sending a huge amount of terrestrial debris into space. 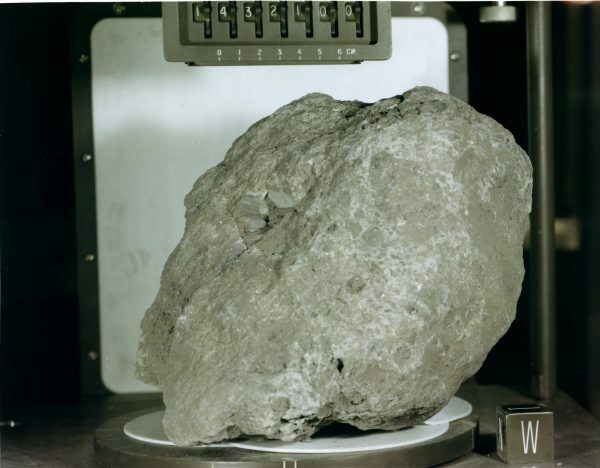 Some of this debris, including the ancient granite-quartz rock, would have landed on the Moon, to be picked up by unsuspecting Apollo 14 astronauts billions of years later. This theory is usefully consistent with existing theories about tremendous asteroid collisions that impacted the surface of the Earth billions of years ago and made our planet the way it is today. 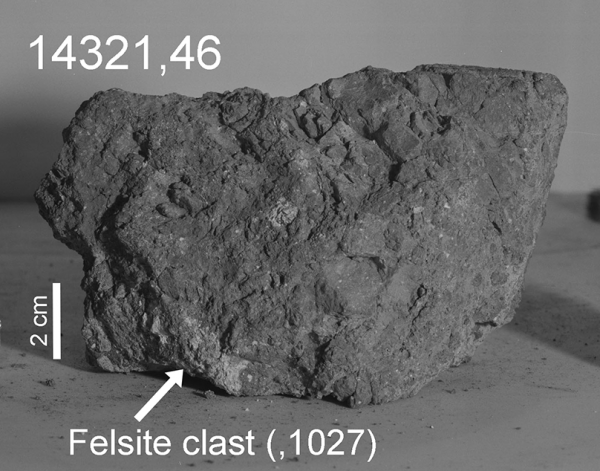 The CLSE team’s analyses of the rock specimen continue in an effort to determine whether or not the specimen is, in fact, the oldest terrestrial rock ever found. Its age has been estimated at 4 billion years, give or take a few centuries—and, given the time scale, let’s forgive the generalization! “It is an extraordinary find that helps paint a better picture of early Earth and the bombardment that modified our planet during the dawn of life,” said Dr. David Kring, highlighting the depth of knowledge that could be gained from these 2 grams of terrestrial history. Some things—lunar rocks, in this case—are not always what they seem! What do you think about the fascinating discovery of an ancient terrestrial rock on the Moon? Share this article with science-minded friends, and let us know your thoughts in the comments below!